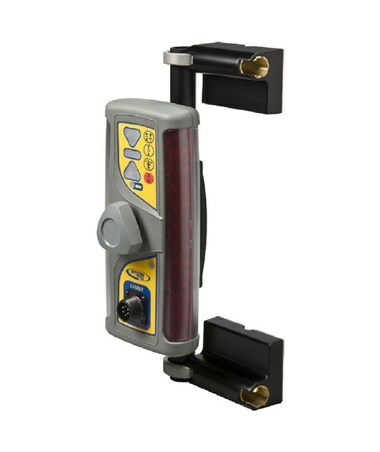 The Spectra LR20 Machine Control Laser Receiver allows compact machines to achieve tighter tolerances without the need for a grade checker. It is perfect for landscaping, building pods, sports fields, concrete flatwork, storm drains, general construction grading and depth control applications. 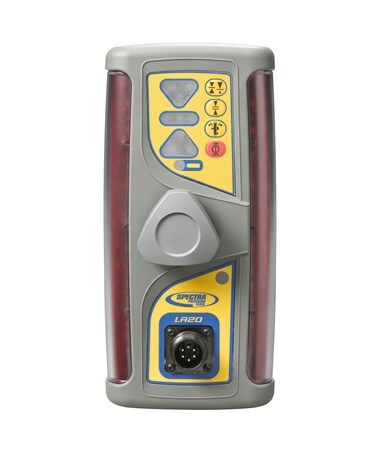 This machine control receiver features a built-in plumb indicator and a 360-degree reception angle to ensure maximum laser control across the job site. 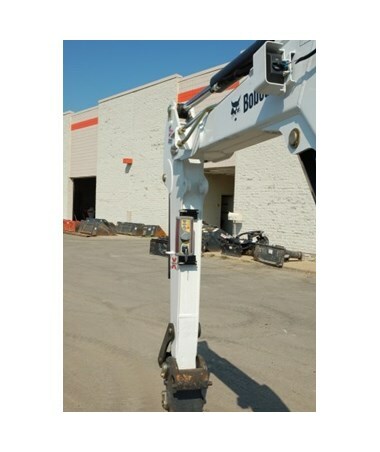 Also, it provides three detection accuracy settings to meet job site requirements. The LR20 offers five display channels that aid in grading applications. With an eight-inch capture height, the laser reception provides increased working area and range. 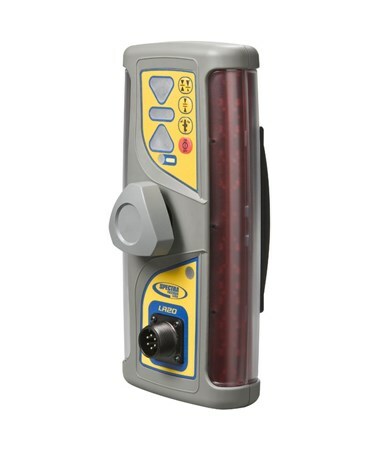 Also, this laser receiver comes with super bright LED indicators that give superior depth and elevation indication. 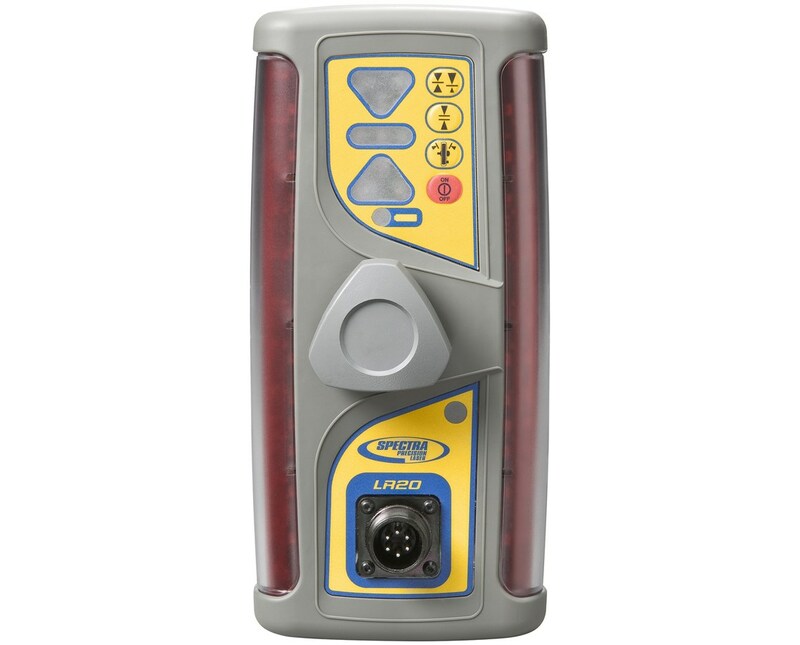 It includes an easy push button setup for ease of use and application flexibility. 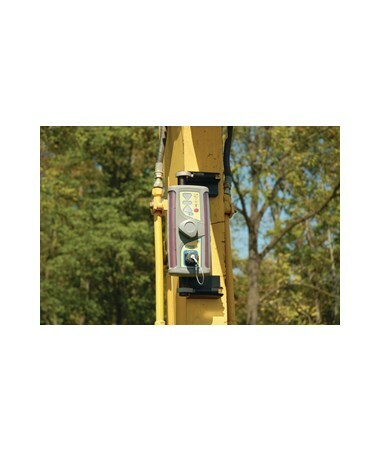 Plus, it comes with a center and offset on-grades are ideal for both grading and excavation applications. 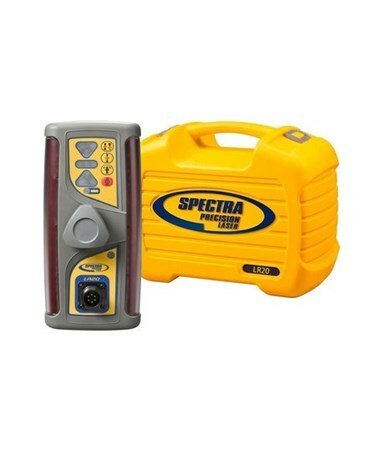 The Spectra LR20 is powered by NiMH batteries that can operate up to 35 hours. To save battery, it has an auto shut-off function that immediately shuts off after 75 minutes of inactivity. Rugged and water resistant, the LR20 is made of polycarbonate housing and elastomer over molding that is designed to last for years. 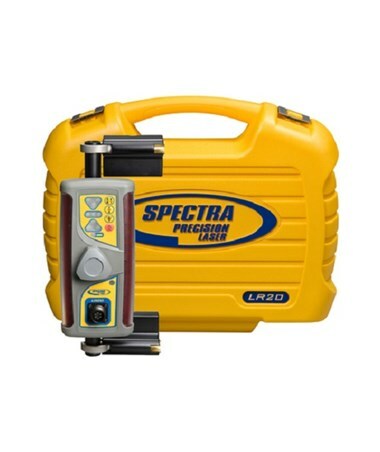 The Spectra LR20 Machine Control Laser Receiver offers two packages with an optional mount. Both are supported by a two-year manufacturer’s warranty. Please choose from the drop-down menu above.